What could have been? What might have been? Reunions can be exciting, frustrating, exhilarating, nostalgic, a life given over to practicality while another chases lost dreams. 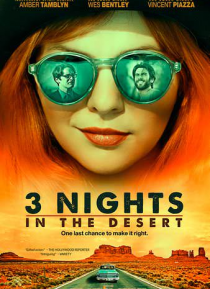 Set against the majestic landscape of the desert, three estranged friends and former bandmates "celebrate" turning 30, carrying their hopes and unresolved wounds, their intertwined romantic baggage, in this funny and poignan… t look at lost loves, forgotten dreams and missed opportunity.